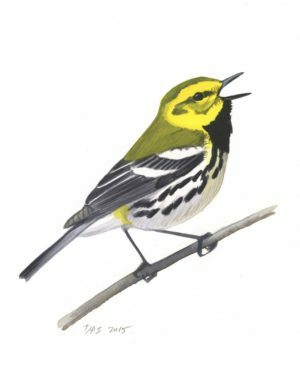 How many rare birds do we miss? So how many do we find? 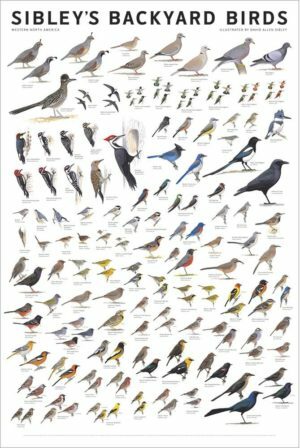 How many rare birds did we miss before the internet? you used to have a great list of subspecies and their scientific names which correlated to the regional designations you gave them in the book. Why did you take it down? I can’t find it on the site anymore. 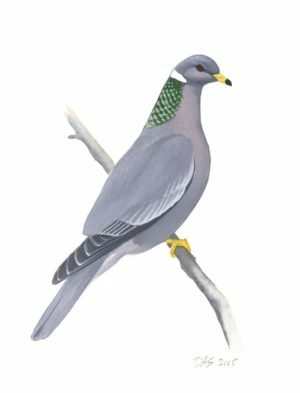 Hi Travis, When I revamped the site a month or so ago I took down the subspecies list, planning to update a few things and repost. Hopefully I can get that done and back up in the next few days. Perhaps this question has been asked before. 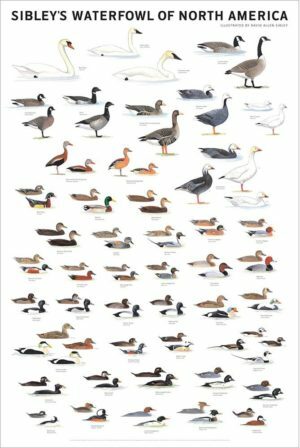 I’m curious why Pink-footed Goose is not included in the Sibley Guide? 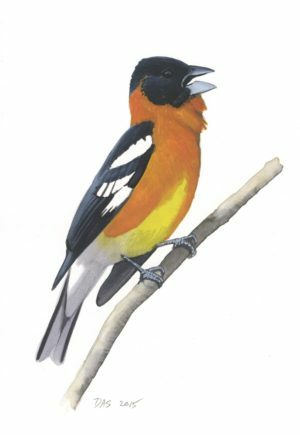 Perhaps a thought-to-be-wild bird had not occurred in North America as of 2000. Pink-footed Goose was not included in the Sibley Guide because at the time that I was working on the book (1990s) it was too rare and didn’t meet the threshold for inclusion. It is one of a few species that increased in frequency even as I was working on the guide, and would certainly be included now. Hopefully I can get around to doing a revised edition someday and I would definitely include it in that. 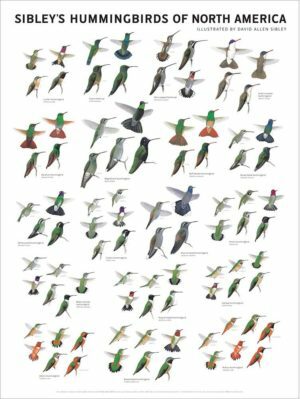 Other species are Cahow, Green-breasted Mango, and a few others. There was a possible Pink-footed Goose spotted here in eastern Kansas a couple days ago, those of us that saw it are thinking a juvenile but there is very little reference material that I can find showing this bird as a juvenile. Do you have a plate worked up that you could share with us? Hi Brandon, All geese can be aged at least until mid-winter by feather shapes. The differences I described for Canada Geese in a post here https://www.sibleyguides.com/2009/10/ageing-canada-geese/ should work just as well for Pink-footed and other species. By December most young geese have molted some of the upper flanks, so you’ll also see a contrast between broader, darker, more contrasting feathers there alongside the paler/faded, more rounded juvenile feathers on the belly. All that said, I see from one posted photo that the Kansas bird looks more like an immature dark morph Snow Goose – an understandable mistake. Pink-footed should have a dark brown head and neck, warm brown on the breast, etc. I wanted to thank you for all the hard work I know you put into your books and field guides on birds. I recently acquired two of your books and they are the best I have ever seen. 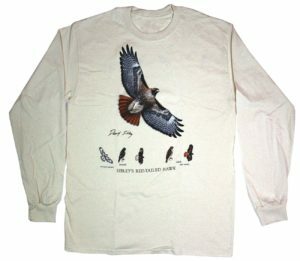 It is so helpful to see birds especailly the birds of prey in their different phases and flight patterns. 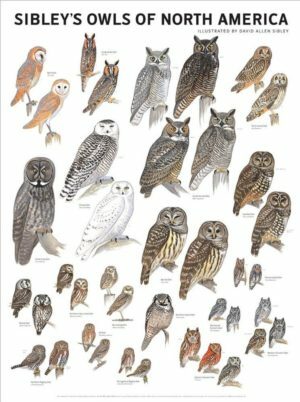 Your beautiful guides and descriptions are very welcome additions to the world of birds. Being able to understand the birds in your back yard, your camp site, or on your nature walk, is the key to having a great appreciation of life. Birds bring so much to help people stay connected to the earth! Hi Kim, Thanks for your note. 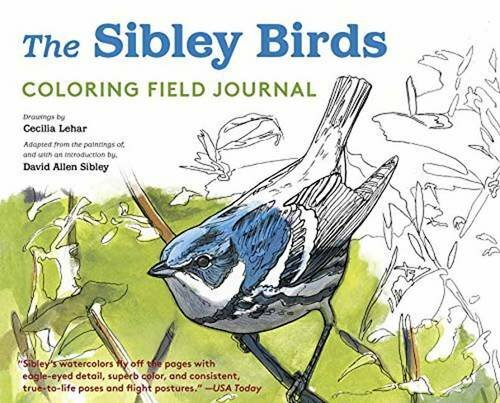 The maps in the books were last revised in 2002 (by Paul Lehman) so your Green Violetear did not make it in time. I’ll add it to the next revision. When I posted these images, numerous birders emailed me saying they had never seen nor heard anything in the literature regarding the NECO pink coloration and its ramifications. I found a stable population of 7 NECOs in the Salt Lake Valley at a permanent site that I studied over a 4 month period (May 2 through Oct. 18, 2010). 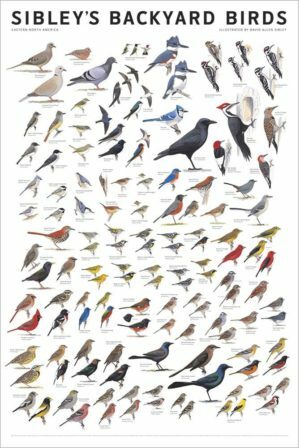 Being retired, I spent over 200 hours studying these birds, with my main emphasis being photo-documentation. Among other things, I was struck by the unique ‘social signaling’ done by the NECOs available to me; specifically when I observed the pink coloration of their gular sacs when extended. Early on I noted there were major differences between NECO/DCCO extended gular sacs. Taking this a bit further, I saw the possibility that, using examples of birds’ (NECO/DCCO) gular sac coloration and morphology, I might have stumbled on a feature that could help clarify the I.D. issue among DCCO/NECO juveniles. I also believe that, the unique NECO extended gular sac coloration and morphology have been overlooked in the literature thus far. Any consideration of the above would be sincerely appreciated. Hi Richard. Thanks very much for posting all this. I was not aware of any color difference but it looks like you have documented it pretty thoroughly. I was hoping to find someoe to help me identify a bird we had show up on our deck this morning, I took a picture and was hoping I coupld post it in here in hopes of someone telliing me what typee of bird it is. Is there a place in here to post pictures? And gradulations for you for this APP about this birds. Bravo! to you! It a practical way to identify birds on the field. 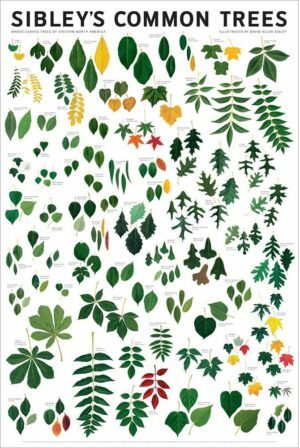 I thought that you would find this a bit interesting. In the southern US the range of the Bronzed Cowbird and the Brown-headed Cowbird overlap. One of their hosts, the Abert’s Towhee, has a nest in my backyard. Both birds parasitized the nest. Abert’s Towhee clutch size is typically 2-4 eggs. This nest has 6 eggs in it, 3 Bronzed Cowbird eggs (1 damaged by what looks like a bird peck), 2 host eggs, and 1 Brown-headed Cowbird egg. The last picture in this thread shows the nest. Wow, that Abert’s Towhee will certainly be the frazzled parent over the next few weeks. I wonder how many cowbirds one towhee is capable of feeding? I’ve been trying to be able to ID juvenile sparrows (Lincoln’s vs Swamp vs Song). Any suggestions as to were to look? 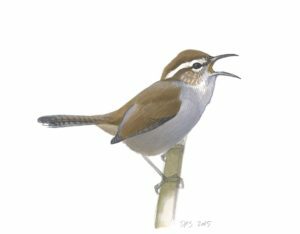 I am confused about crown color of Swainson’s Warbler. I have your First Ed. (Oct 2000) which describes the crown as “rufous tinged.” The illustration is a rather conspicuous rufous. My National Geographic (3d Ed) describes it as “brown.” Curson, Quinn, and Beadle say, “warm brown.” I have seen only one, but it was very close and in pretty good light. The crown looked distinctly brown, with no suggestion of rufous. I do not have access to study skins. I know you had some problems with color control in the first printing, but I am not aware of any corrections for this species. Would you confirm the true color, please. Hi Ed, This is an interesting question, and the key concept is what might be called “relative color”. I would say that the crown on Swainson’s Warbler is distinctly more rufous than the rest of the upperparts, and whether you perceive that as rufous or simply as a warm brown depends on lighting and your own personal criteria for when something is red enough to be rufous. No matter what you call the color it is clearly more reddish than the back. 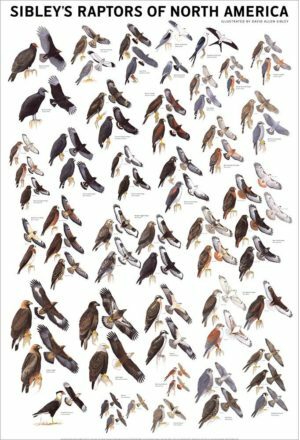 I did have a tendency to exaggerate rufous colors in the paintings for the guide, trying to make the difference in relative color obvious, and then the printing process emphasized the red even more. I did not make any changes to the painting for the upcoming revised edition, but I think the new printing will tone it down a little from the first edition. 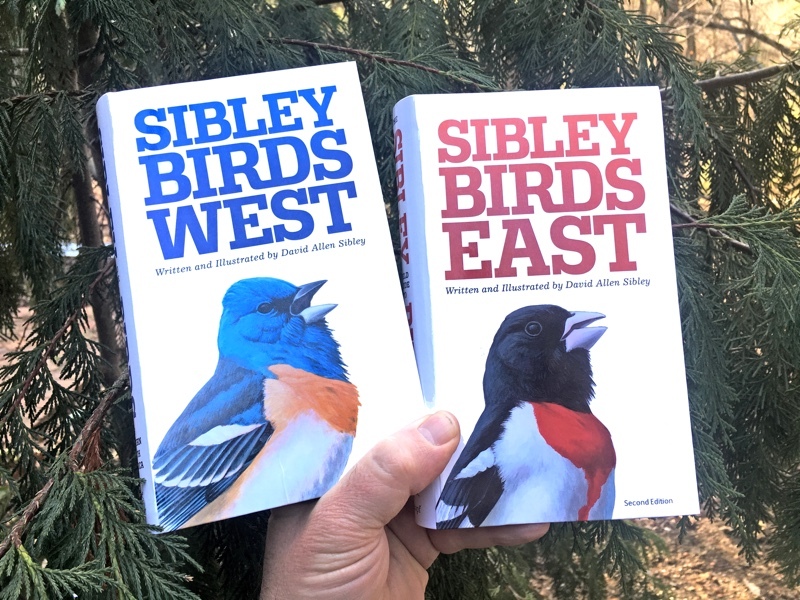 I would like a north american life list of birds that is separate from your excellent book. May I purchase? I have had a bird feeder and bath in my backyard for about ten years. 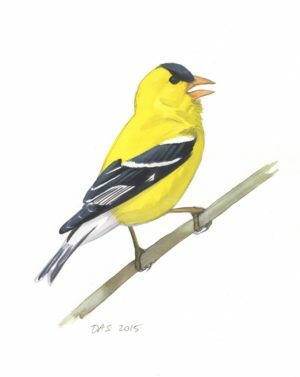 This past summer, I’ve seen one bird that I can’t identify. At first I thought it was a cardinal, as we have a nice family around here, consisting of Mr., Mrs., one master and two ladies. But this bird is a bit different. It is almost entirely red, but not quite red–almost an orang-red–and has a black head with no crest. It’s beak of orange. It shows up sporadically, and has usually managed to fly away by the time I can grad my camera. But today is was hanging around in my yard for quite some time, so I got a few shots, albeit from a distance. After watching it for a bit, it displayed one of the charactertistics of cardinals that I’ve observed: “kissing.” Meaning this bird is passing on a bit of food to lady/Mrs. cardinal. So I believe he’s in the cardinal family. But I can’t find a picture of him anywhere. (And he doesn’t chip.) I can send a photo. But, sorry, I’m not on facebook. I live not to far from David Sibley. I’m about twenty miles away, in Melrose, MA. Anyone have an idea what bird this is? Sorry, I really need to have someone check my typos before I submit. I’m my own worst proofreader!!!! I have been trying to fine the type of bird that has 3 notes . Ist note is highest then the 2nd and 3rd notes are lower but the same note. The bird is seasonal, but not visible. At least I haven’t been able to find it. oh right. The bird has been heard in Calgary, Alberta.